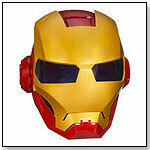 Kids can slip on the Iron Man 2 Iron Man Helmet to hide their identity from their evil adversaries. The helmet is designed in Iron Man's signature style and features a variety of electronic lights and sounds, including data correspondence from JARVIS, his trusty computer companion. Fans will especially enjoy the helmet's slow release visor that lends remarkable authenticity to this fun role-play toy. Launch date: 2010. 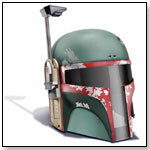 The enigmatic bounty hunter Boba Fett has been a fan and kid favorite since his big screen debut in “Star Wars: Episode V The Empire Strikes Back.” Part of Fett’s mystique is his signature helmet. With simulated paint weathering and side antenna, the Boba Fett Helmet lets kids become the greatest bounty hunter in the galaxy. Electronic lights and sounds add to the play experience. Launch date: August 1, 2010. Furry Frenzies are HASBRO’s response to the success of Zhu Zhu Pets. Part of the Furreal Friends line, Furry Frenzies unabashedly follow the basic Zhu Zhu formula of small furry creatures that make noises and explore on their own. Furry Frenzies are available in raccoon, bunny, puppy, kitten, hedgehog, and chipmunk varieties. Playsets and carrying cases are planned as well. Launch date: Fall 2010. HASBRO hopes to start a revolution with its new Monopoly: Revolution Edition. The centerpiece of the game is its round board, which retains the original Atlantic City properties. An electronic system keeps track of all the money, so no arguments are necessary. The electronic system also acts as die and plays clips from hit songs for some in-game entertainment. Launch date: Fall 2010. In 2010 HASBRO celebrates the 30th anniversary of “Star Wars: Episode V The Empire Strikes Back” with toys recreating the vehicles, aliens, and action of the classic film. One of the most iconic vehicles from the movie is the elephantine All Terrain Armored Transport (AT-AT), the lumbering Imperial walker used in the battle on the ice planet of Hoth. Although HABSRO has produced the AT-AT before, this version is bigger and better than ever. 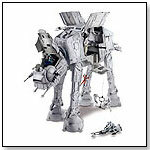 At 28 inches long and nearly as tall, the AT-AT can hold the included AT-AT driver and speeder bike plus 19 more figures. LED lights, sounds, and other play features make this massive playset high-tech and high-fun. Launch date: August 1, 2010. 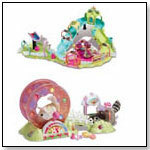 HASBRO’s Littlest Pet Shop triples the fun with Petriplets, special sets of triplet pets. Although they are triplets, each pet is unique. Available in bear, bunny, and six other varieties, Petriplets include distinctive environments and accessories. Launch date: Spring 2010. Customization is an emerging trend for board games in 2010, with LEGO’s launch of its game line and HASBRO’s U-Build Games. U-Build Mouse Trap puts a space age spin on Mouse Trap by sending the mice into orbit in search of the fabled moon made of cheese. Kids can move U-Build cheese bricks around the board to, as the saying goes, build a better mouse trap. Launch date: Fall 2010. More than 30 years after his original introduction, Alphie robot is making a comeback. The educational robot has been updated with an LCD screen face and childlike voice to give Alphie more personality. With 350 questions and challenges included on 30 cards, Alphie teaches children counting, matching, rhyming and more. Launch date: Fall 2010. —As of 10.25.2010, this product had 4.5 out of 5 stars from 25 reviews on Amazon.com and was No. 6 on the top 100 best-selling toys and games. PROS: Fun and educational. CONS: Cards can be bent and become unusable. Sid the Science Kid, from PBS Kids and the Jim Henson Company, focuses on the inquisitive Sid as he explores the world and learns basic science concepts. 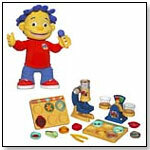 The travel ready Super Fab Lab Science Kit to ask questions about the natural world, just like Sid. A real microscope, a scale, and sample specimens provide everything a child needs to start their own exploration. Launch date: Fall 2010. 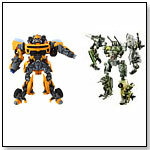 The 2010 Transformers product offerings bridge the gap between 2009’s “Revenge of the Fallen” film and the next film’s release in 2011. HASBRO’s Battle Ops Bumblebee brings the films’ star to life with electronic lights and sounds. Kids can choose between Battle and Guardian modes to experience new actions and features. Launch date: Fall 2010. 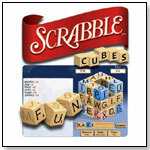 This single-player game puts the classic Scrabble game on the move, as the player shuffles and slides electronic letter tiles to form words within a minute. Equipped with Smart Tile Technology, Scrabble Flash Cubes reads words once the tiles are in place and keeps score accordingly. Launch date: Fall 2010. Every time a player passes Go, he builds and watches a city come to life. 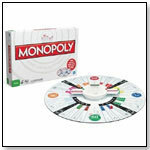 Players choose what to build and compete as they collect rent like traditional Monopoly. 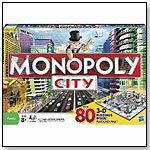 It features 80 3-D buildings and includes a game board, six movers, 22 District cards, 25 Chance cards, six Reminder cards, one Rent Dodge card, two dice, one money pack, one trading unit and instructions. It requires 2 AAA batteries (not included) and is for two to six players. 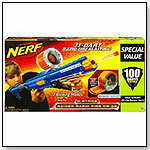 This gun has the highest dart capacity of any toy Nerf has produced. The drum magazine holds 35 darts and has a clear window so the user knows when it’s getting low. Single or multi-shot modes allow variations on how it fires. It also includes an adjustable shoulder stock. 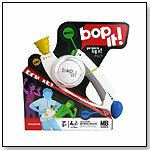 In this game for 1 or more players, the Bop It! unit issues commands that must be followed by the participants — requiring them to bop and twist parts of the game, use the microphone, and even use their elbows and knees. It requires three AAA batteries. In Scrabble Apple, two to four players flip over tiles one by one, and the first participant to create a new word, or build off another player's word, gets both the word and the points. Red letters double a word score. The goal is to have accumulated the most points when the tiles are all gone. 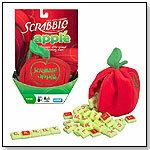 It includes a cloth apple, 100 letter tiles and instructions. Launch date: August 2009. In this fast-paced word game, two to four players race to alter the present four-letter word and be the first to get rid of their cards for the win. 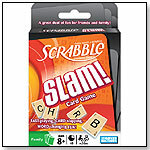 — Scrabble Slam is the best-selling card game at The Toy Store in Highlands, N.C., where it sells 36 units per month, Owner Michelle Bears told TDmonthly in August 2009. “One person has it, and it spreads,” she said. 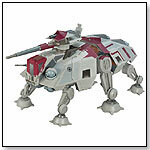 The fierce AT-TE, which stands for All Terrain Tactical Enforcer, is a six-legged walking tank equipped to take to any landscape and deploy Clone troops into battle. The model has articulated legs, electronic walking sounds, a firing main blaster cannon with electronic sounds, and six laser turrets. When adjusting one of the four front cannons, the rest of them move to target together. When the auto-deploy hatch is activated, recorded Clone Wars trooper phrases play. — In July 2009, three of 49 retailers told TDmonthly the Star Wars license accounts for their best-selling collectibles. A balanced mix of characters from the heroic Rebel Alliance and evil Imperial army, these four figures from Star Wars Episode IV are captured in realistic detail that kids and adults will remember from the movie. 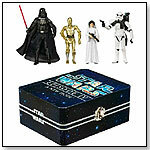 Characters included are Darth Vader, Princess Leia, C-3P0 and a specially equipped Storm Trooper. The figures can be displayed as decor or part of a collection, or stored in the included commemorative tin. ― “Star Wars is No. 1,” said Anna Barr, owner of Anna's Toy Depot in Austin, Texas, when asked about her best-selling action figures in July 2009. ― Three of 49 retailers told TDmonthly in summer 2009 that Star Wars accounts for their top sales in action figures. The appearance of giant robots on Earth has changed the world, but some have apparently adapted to it. Take Sam Witwicky, who befriended the heroic Autobots in the feature films. He will appear as a 2-1/4-inch figure made to ride within his friend Bumblebee the Camaro. The Human Alliance collection allows kids to play with the human and non-human characters together, reenacting scenes from the movies. The human figures can ride inside the vehicle modes, or be positioned in different battle stations on the robot mode. These 3-3/4-inch figures star Wolverine and the best heroes and anti-heroes comicdom has to offer. Kids can recreate scenes from the movie with the figures, which boast great detail and incredible articulation. Pictured is the Logan figure with bone claws. Marvel has some of the best-known and best-loved characters in comics, and 34 of them are coming to stores this year, including Spider-Man, Daredevil, X-Force Wolverine and Ultimate Captain America. Each single-packed figure has exceptional articulation and poseability, unique accessories and their own “top secret” file card. The vehicles are one of the best parts of the Star Wars universe. Eight deluxe vehicle and figure packs based on scenes from The Clone Wars cartoon features one Star Wars vehicle and an accompanying action figure, both designed in the classic 3-3/4-inch scale. Pictured is the evil Count Dooku on a speeder bike. The Clone Wars were waged in the fall of 2009, and continue to be played out on Cartoon Network. Dozens of new figures, each with action features and accessories, will be brought home this year. Entries include Kit Fisto, Mace Windu (pictured) and Commander Gree. This gift set contains the largest and most powerful enemy the heroic Autobots will face in the June 24 movie “Transformers: Revenge of the Fallen.” Six separate construction vehicles turn into robots, then join together into Devastator in order to, well, devastate. 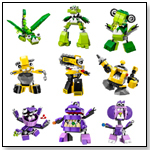 It hopes to capture the interest of children who love construction vehicles, robots and interactivity between toys, as well as the older collector who remembers Devastator and the Constructicons of his youth. 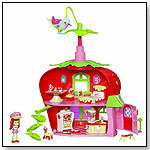 A 3” scented Strawberry Shortcake can hang out in this two-story cafe that comes with furniture, play food, a spinning smoothie machine and even a bird friend to ride. No batteries are needed. Launch date: Fall 2009.